Destination Jesus is a weekend conference style retreat for high school students. It is a weekend of prayer, games, food, and music, joining with other high school students, priests, seminarians, and nuns from around the Diocese of Lafayette-in-Indiana. We are blessed to celebrate our 24th year of Destination Jesus. The theme for the weekend is “Alive Again” and our theme song is Alive Again by Matt Maher. Click the other tabs above for more info about the weekend and how to signup! 1. Promote knowledge and love of Jesus in the Blessed Sacrament – the source and summit of Christian life. 2. Inspire devotion to Mary, the Mother of God. 3. Encourage fidelity to the teachings of the Catholic Church and the Magisterium. 4. Awaken discernment of Holy Vocations as ordained by God and His Holy Church. Oscar Rivera, aka Two Ten was raised in the inner city of Waterbury, Connecticut, and was taught at an early age how to be a survivor. His method of avoiding the streets and its promises, became the art of Hip Hop. Oscar’s energy and passion for the faith makes his approach inspirational and real-to-life. Oscar is a Franciscan University Alumni (10′), and earned his Masters of Arts in Theology with Saint Leo University (15′). He takes his knowledge of the faith and inspires the youth, and young adults of today’s culture through his music, talks, retreats, and personal testimony. He brings a message of hope in times of despair, love during times of hate, and faithfully follow God, no matter the obstacles. His life has been devoted to the New Evangelization of the Gospel and his upbeat contemporary approach to the good news has made the message easy to understand, follow, and relate to. Christianity is not boring, and Oscar does not intend to be either. Sr. Maris Stella was born and raised in Ludlow, Massachusetts. She graduated from the US Naval Academy in Annapolis, MD and was commissioned as a Naval Officer serving on ships and in operations. Following her commitment to the Navy, she entered the Sisters of Life in 2006 and professed her final vows in 2014. 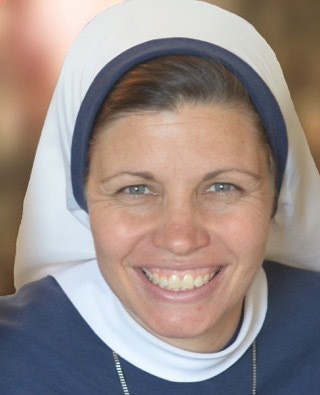 She has assisted the community in formation of postulants, by working with women who are pregnant and vulnerable to abortion and in the Hope and Healing Mission, a work of retreats and accompaniment to women who are suffering after abortion. She currently lives in Denver and shares the message of God’s plan for life and love on university campuses. Martin Doman has been writing, performing, and ministering as a Catholic Musician for over 20 years. 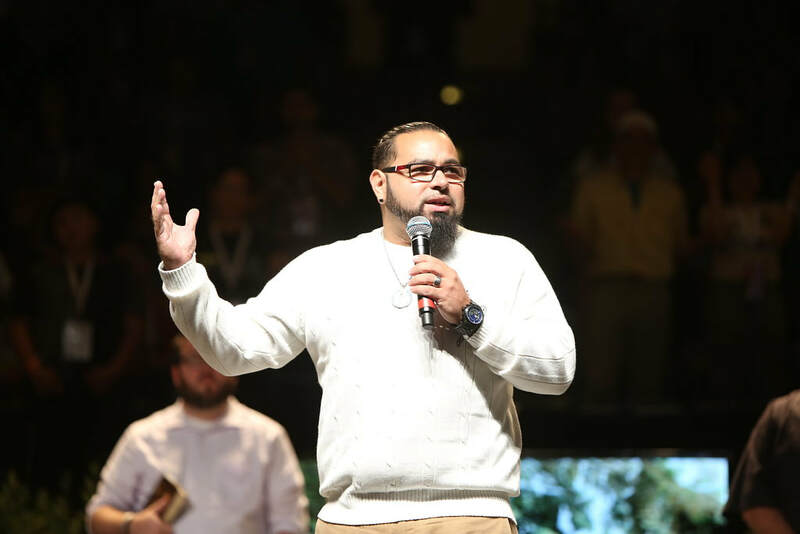 Since graduating from Franciscan University of Steubenville, Martin has led worship at Franciscan University’s nationwide summer conferences, as well as other national and Diocesan conferences all across the US. He has released six recordings of Catholic worship music. In 2002, Martin founded Christ Music, a non-profit corporation dedicated to renewing the heart of the Church through Eucharistic praise and worship. He was honored to be asked to sing before the Papal Mass for the 2015 World Meeting of Families in his hometown of Philadelphia during Pope Francis’ visit there. 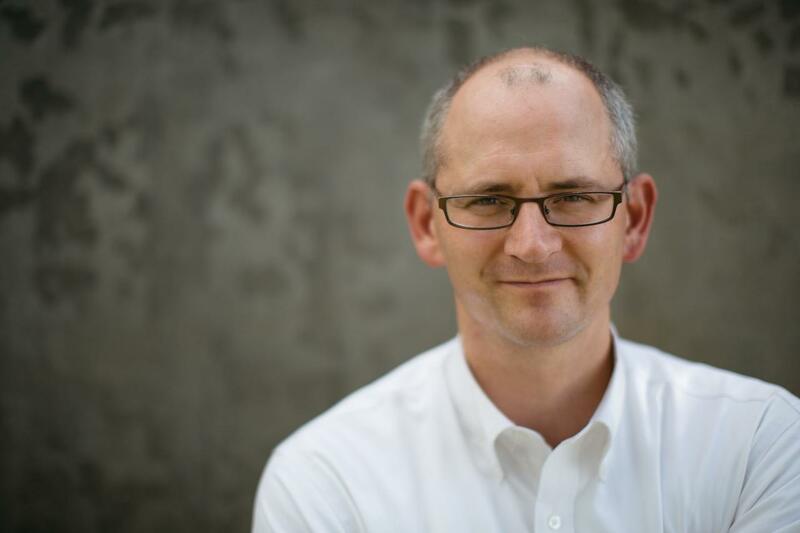 Martin comes to us from the Ann Arbor, MI area, where he lives with his wife Charlene and 6 children, and works as the Director of Worship at Christ the King Catholic Church. 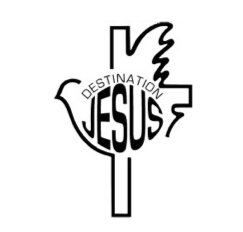 Destination Jesus will only accept registrations by parish group.Each participant must register through their parish to attend Destination Jesus. Note: Group registration closes on January 26, 2018 at 5:00pm.No additional spots for your parish will be accepted after this date and time. Best Price, So Signup Now! Please contact us at info@destinationjesus.org for more information or to receive a registration packet. Destination Jesus is a 40 hour eucharistic retreat for high school students. We are celebrating our 23rs year and expecting over 900 high school students and chaperones. Our hope is that the young people attending will grow in prayer, a devotion to the blessed sacrament, and community with fellow Catholics in the Diocese of Lafayette-in-Indiana. Who can attend Destination Jesus? Destination Jesus is designed for high school students and their adult Leaders who are 18 years of age or older and have graduated high school. We are here to make registration easy! You will reserve your spots online this year and receive confirmation through email. In order to start group reservation, please email us at info@destinationjesus.org, and we will send you the registration link. As always, please feel free to contact us at with any questions you may have at 317-846-3878. Can I send my youth alone? In order to provide the best possible context for fellowship, sharing, ministry, and supervision, we will only handle registrations by parish groups only. No individual registrations will be accepted. What do I do if I have a food allergy? If you have a food allergy we need to be aware of (vegetarian, lactose intolerant, wheat/peanut allergy, etc. ), please contact Joe Domina at jdomina@iamtouchpoint.com. He is able to accommodate most allergies and food sensitivities. You also have the option of bringing your meal already prepared, place them in reheatable containers, put them in a bag with your parish name, your name, group leader name, and phone number on the outside. You will bring your food directly to the kitchen on Friday during check in. Group Leaders: Make sure you indicate your groups allergies on the parish google roster due: 1/29/2016. We always do our very best to accommodate your needs; however, it never hurts to bring some snacks just in case. Someone in my group has a special need for housing due to a physical handicap. What should I do? We will do our very best to help accommodate whatever needs that individual may have. Remember, we can only help as much as you communicate with us. For that reason, please contact the OLMC Faith Formation office (317-846-3878) as early as possible to explain your needs. Each participant should bring clothing appropriate/comfortable for a church function (it may be cold in the worship space, layers are encouraged), sleeping bag, twin size air mattress only, pillow, towel, washcloth, toiletries, Bible, journal, and spending money (many participants like to get things from our bookstore). The following items may also be helpful in your packing: Sleep Mask (in some sleep areas lights remain on at night), Extra blanket, flashlight, Chapstick, plastic bag for wet towels, Bathing suit if desired for showering. You may pack a snack for the sleep areas, if desired. Also, please note: Pack your items in a Duffle Bag if possible, and avoid using luggage with wheels. For the safety of the youth and to foster productive small group times, we require you to have 1 Adult / 8 Youth during the day, & 1 Adult / 6 Youth for each gender in the sleep areas per Diocesan regulations. Also remember that if you are bringing male and female youth, you MUST have both male and female chaperones. We ask that your group not exceed the maximum Adult to Youth ratio. Priests are not included in the Chaperone ratio due to separate housing. I am a chaperone coming to the retreat and want to bring my small children; can I do that? Although we strongly support Catholic family life, our staffing, facility constraints, and insurance regulations do not allow us to provide childcare. In addition, the focus of the Adult Chaperone/Group Leader needs to be on the youth participants. If adults bring their own children, their focus will be divided. With the best care of the youth in mind, please refrain from bringing non-participant children with you. What are the criteria for Group Leader, Adult Chaperone and Youth? Adult Chaperone: An Adult Chaperone is someone attending the retreat to chaperone the youth throughout the ENTIRE weekend. All Adult Chaperones must be 18 years of age or older, have graduated high school and have been approved to work with youth through the groups home diocese protocol training. All Adult Chaperones are expected to be with the Youth throughout the ENTIRE retreat, to include sleeping in the same sleep area with the Youth. This weekend is challenging physically and spiritually. All Adult Chaperones must be able to lead kids to safety incase of an emergency: Ex. Fire, Natural Disaster, etc. We recommend that chaperones feel comfortable directing, sharing with, and praying with youth and that they have completed their first year of college or job. Priests are not included in the Chaperone ratio due to separate housing. Youth: Youth participants at the retreat must be in 9th, 10th, 11th, or 12th grades. I am a priest and I would like to concelebrate Mass and hear Confessions. What do I need to bring with me? We would love for you to concelebrate! We ask that you please bring your own vestments as we cannot promise that we will have enough or the correct size. We have a vesting room where you can leave your vestments all weekend. Where is Destination Jesus held? Destination Jesus will take place on the campus of Guerin Catholic High School in Noblesville, Indiana. Dining will take place in the cafeteria on campus and housing will be in a couple different schools throughout the area. Once you arrive on campus, parking officials will guide you to registration. I am a youth attending Destination Jesus; can I bring my cell phone? We know how important it is for you to stay connected, but we require that youth leave all electronic devices at home. It may be difficult at first, but disconnecting from electronics (even phones) will help all participants to truly connect to the Lord and those on retreat. Should you need to contact home while on retreat, phones are available in the Destination Jesus Logistics Office. We are happy to answer any other questions you may have! Please contact us at info@destinationjesus.org or 317-846-3878. We are always ready and able to help! Space is limited, so reserve a spot for your parish now! We need many volunteers to make this retreat possible, click the button to learn more!